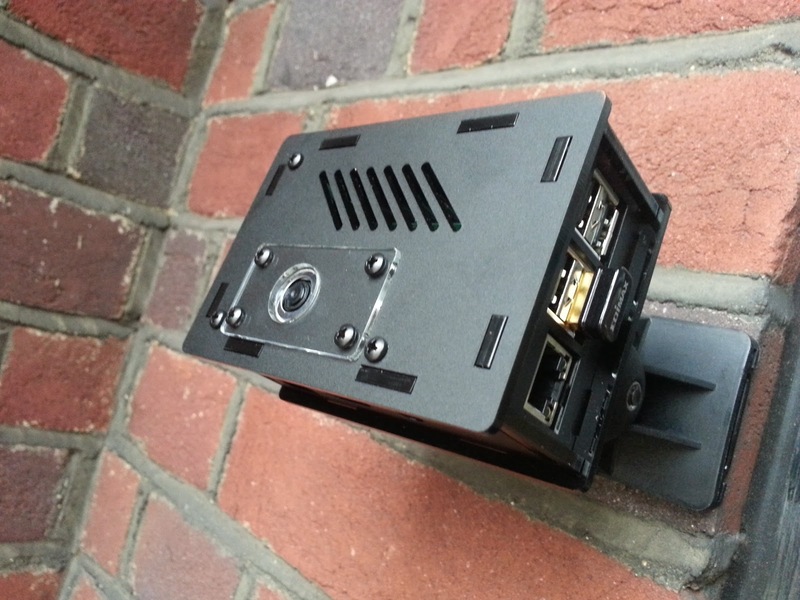 The Nwazet camera case is perfect for CCTV Pi solution as it has an adjustable mounting bracket, a fish-eye lens, and a nice stealty black look. It comes with all the parts you need, and even the fixings for mounting it to a wall. This is the part that had me puzzled for a while. There’s a lot of different ways to get your camera streaming to a screen/computer, but I hadn’t had much time to look at them. The few that I did try didn’t quite offer the ‘simple’ factor that is so very important when trying to get my father to adopt new technology! Then I came across MotionPie. This clever application comes as an image that you simply write to an SD card and put straight into your Pi – no code, no messing around. It feels a bit like cheating, but it does work very well and will keep papa Average happy as it’s so easy to use. 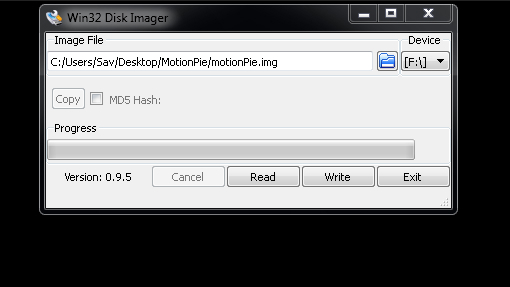 To install MotionPie you need a blank SD card and the MotionPie image available here (hit the big green download button). 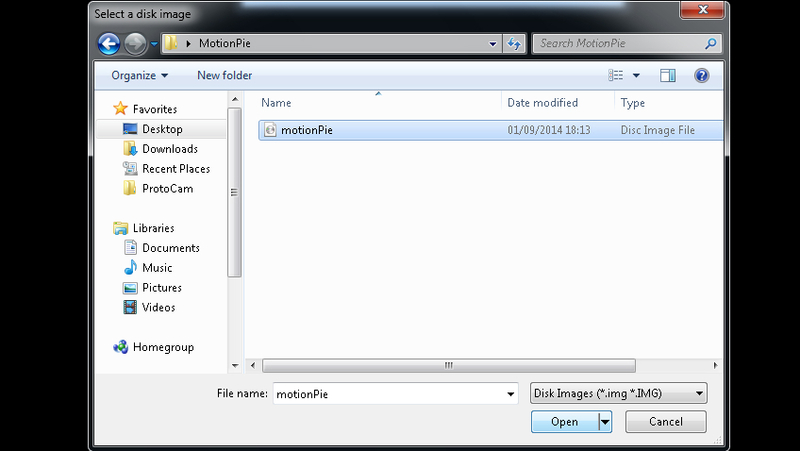 You can use a 4Gb SD card but you may want something bigger if you want to use the recording features of MotionPie. Think of an image as an operating system, like Windows. 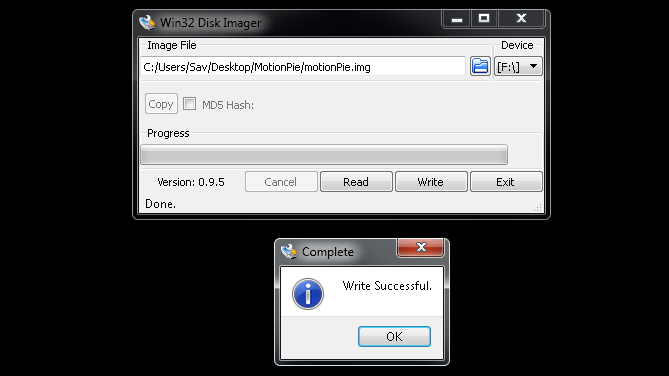 This image is a dedicated image for MotionPie, which makes it very easy to install. Once the file has downloaded, unzip the files to a folder and move to the next step. 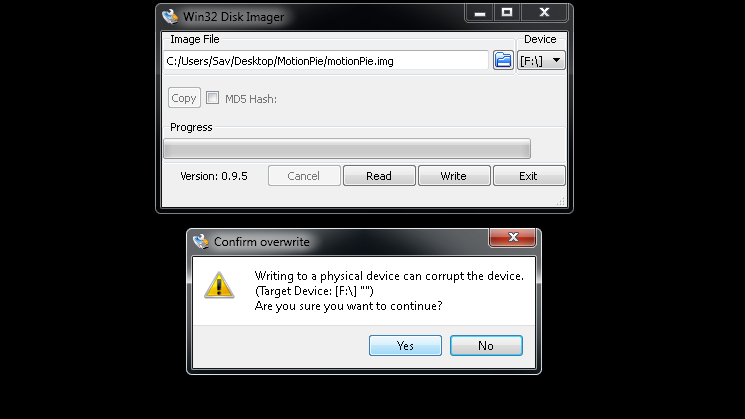 Pop your SD card into your PC (using an SD card adapter if needed) and open up your favourite image writing software – I use Win32DiskImager for Windows. 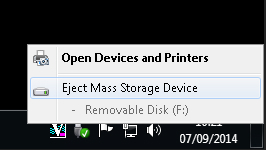 Open up Win32DiskImager – you should see the drive letter for your SD card in the top right ‘device’ section. Make sure this is right before continuing. 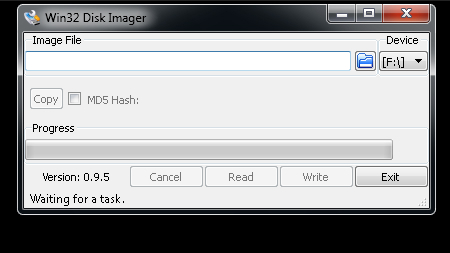 The file path should now be showing in the ‘Image File’ section. This warning always shows – don’t panic! Don’t remove your SD card just yet! 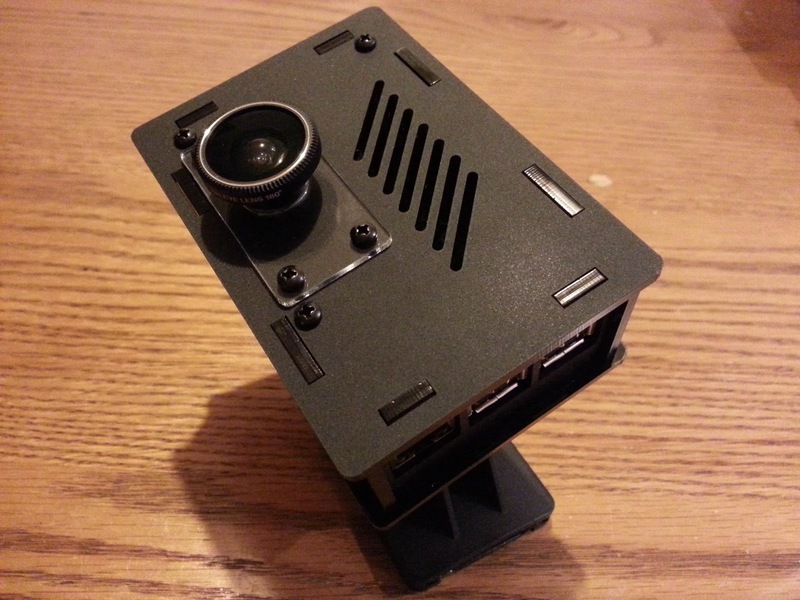 Your SD card is ready now, so push it in to your Pi and continue. We need to connect MotionPie to a wired internet connection for the initial start up (ethernet), as we need to be able to retrieve an IP address. We can’t do any of this via a HDMI screen as MotionPie doesn’t have a video output (you’ll just see a colourful screen). Once you’ve connected everything, push your micro-USB power supply in to the Pi and turn the plug on. We need to give it at least a few minutes to let the initial setup run, so go and grab a coffee. You now need to find the IP address of your MotionPie to be able to log in to it. You could log in to your router to find the IP addresses of your connected devices, but I always use the Android ‘Fing’ app on Android as it’s quick and easy. You also need the Pi’s serial number which will be visible when you check for the IP address. This part is easy. Using a laptop/tablet/phone connected to the same network as your MotionPie, simply type in the IP address and hit enter (the same way you would type in a web address). In the example above, I’m using 192.168.1.9. The slick MotionPie interface should load up. You will at some point be asked for a log in, which is simply ‘admin’ and no password. For remote access such as SSH, the user name is ‘root’ and the password is the Pi’s serial number (which you can see above when we get the IP address). I used SSH to set up my WiFi adapter so that this camera didn’t need to rely on a wired ethernet connection. 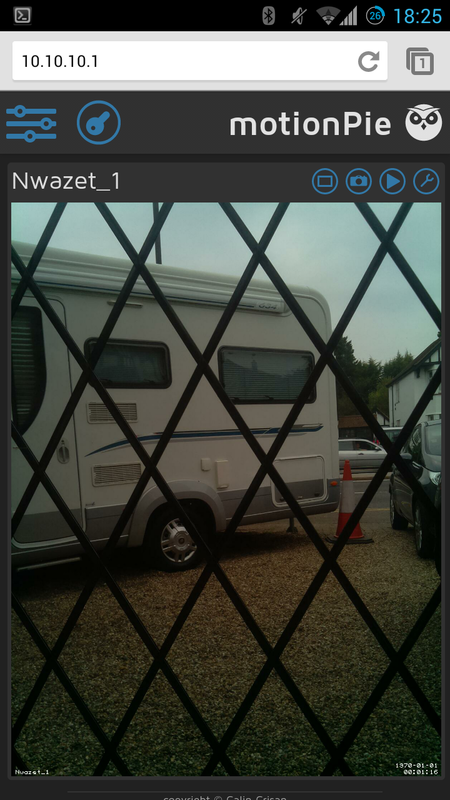 Here’s what MotionPie looks like on my Android phone – it was a bit of a dark day. The icon top left takes you to the setting menu, where you can adjust all manner of things such as framerate, resolution, brightness, contrast, rotation, storage locations and loads more. I need to have a play with these settings over the next week or so. You then have icons on the right which take you to full screen mode, camera and video capture and more options. To use the same interface on a PC or tablet, it’s the same process. Simply enter the IP address and away you go. 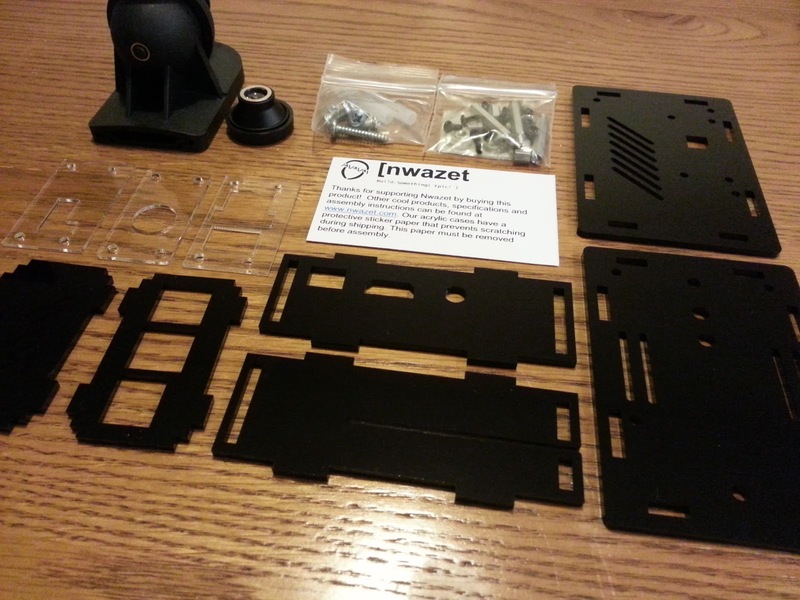 The Nwazet case and mount is solid, looks the part and works very well as a CCTV housing. The fish-eye lens isn’t the greatest quality, looking a bit fuzzy at the edges, so we just removed this part. I’m going to look into drilling some holes in the top panel and wiring some ‘deterrent’ LEDs to make it a bit more visible. The MotionPie application is very easy to set up compared to fiddling with code and ‘Motion’ yourself, although playback can be choppy if you set the resolution too high. It’s a bit of a lazy man’s solution.